Ray White, Software Engineering Manager at Versatile Power brings over 25 years of industry engineering and management experience to the organization. 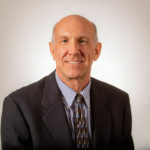 He has worked extensively on embedded software, application software, and embedded hardware projects over a wide range of industries including printers/plotters, semiconductor manufacturing equipment, chemical analysis instrumentation, medical laser systems, network storage, flame and gas detectors, and wireless retail signage. He holds a PhD in Electrical Engineering from the University of Arizona.